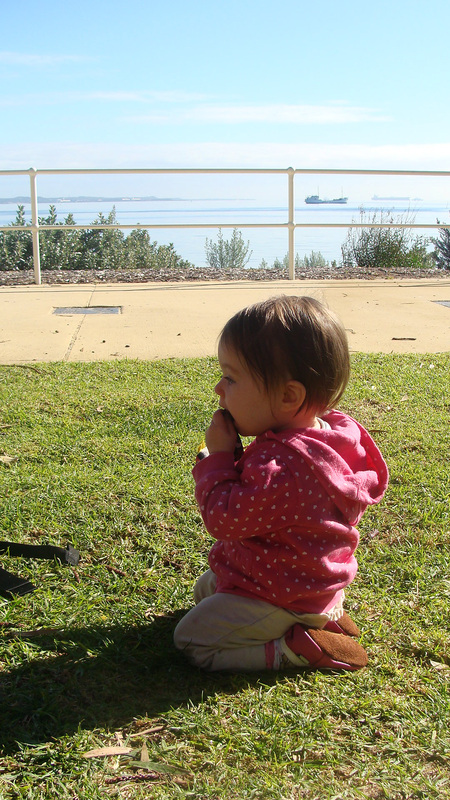 Today my mother’s group decided to have an outside meet up at Rockingham Foreshore. Luckily it turned out be an absolutely lovely day! It was my first time at the foreshore (can’t believe I’ve been so slack, it’s just up the road!) and it really is beautiful, I’ll definitely be dragging the man back with a picnic some time! « Happy 11 Months, Mischief Maker! looks lovely and sunny and meeting w the mothers group is always a good time! how nice to live by the water -your girl is loving it! Oooh it does look like a lovely outing. I hope you all had a wonderful time outdoors. Your little girl is gorgeous.